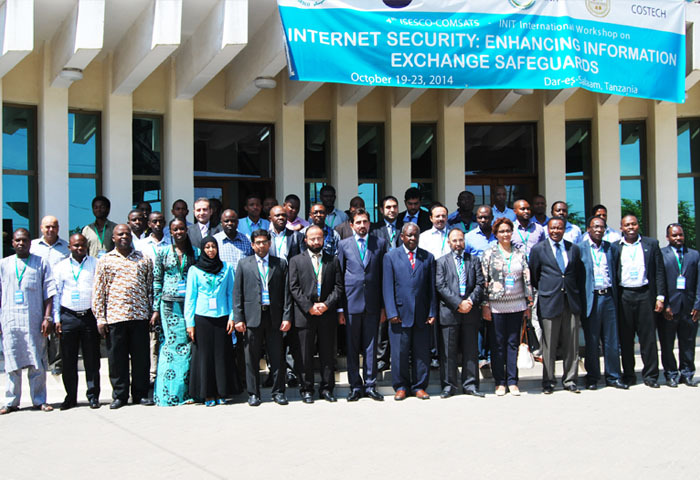 The 4th International Workshop on ‘Internet Security: Enhancing Information Exchange Safeguards’ was inaugurated by Prof. Patrick Makungu, Permanent Secretary, Ministry of Communication, Science and Technology, Government of Tanzania, on 20th October 2014, in Dar-es-Salaam, Tanzania. The event is being jointly organi zed by the Islamic Educational, Scientific and Cultural Organization (ISESCO); the Commission on Science and Technology for Sustainable Development in the South (COMSATS); the Inter Islamic Network on Information Technology (INIT); the COMSATS Institute of Information Technology (CIIT), Pakistan; and the Tanzania Commission for Science & Technology (COSTECH), Tanzania, from October 19-23, 2014. The three workshops on similar theme were earlier held in Syria (2011), Jordan (2012) and Tunisia (2013). Prof. Makungu, who was representing H.E. Prof. Makame M. Mbarawa, Minister for Communication, Science and Technology, Government of Tanzania, in his inaugural address, paid gratitude to the foreign experts and participants for travelling to Tanzania to participate in the event. He conveyed the message of H.E. Prof. Makame M. Mbarawa, in which the honourable Minister thanked ISESCO, COMSATS, CIIT and INIT for organizing this important workshop in Tanzania. While stressing the importance of Internet security, the honourable Minister informed that according to a report of the Center for Strategic and International Studies (CSIS), USA, more than US$ 445 billion are annually lost worldwide due to widespread cyber crimes, electronic theft, and online piracy, including infringement of intellectual property rights, with more than 800 million data-records getting hacked into or stolen. The 2014 Cyber Security Intelligence Index from IBM Security Services shows that 23.1 percent of cyber security incidents are targeted at finance and insurance industry. 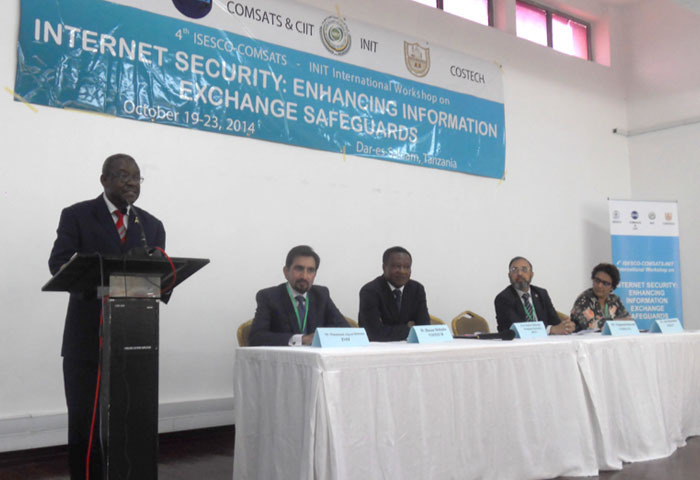 He also informed the participants about the ICT infrastructure and Internet security situation in Tanzania. It was noted that currently Tanzania has about 26.97 million mobile phone subscribers. This situation extends the cyber-crime challenge in Tanzania. In this regard, he informed that Tanzania is reported to have lost nearly US$ 6 million due to cyber crimes, involving mostly card skimming and ATM thefts. He stated that the developing countries must not succumb to the activities of the cyber criminals, and should join hand with developed countries to ward off such activities. Some initiatives launched by the Government of Tanzania for controlling cyber crimes were also shared, including the establishment of the Cyber Crime Unit in the police force; development of cyber law; and establishment of Computer Emergency Response Team (CERT). It was informed that there are more than 300 cyber-crime cases being investigated, some of which are about to be benched in courts of law. The Minister noted that this workshop comes at an opportune time in Tanzania as the month of October is dedicated to cyber-crime awareness. He hoped that the training workshop will yield positive results. Earlier, in his welcome address, Dr. Hassan Mshinda, Director General COSTECH, Tanzania, expressed pleasure on hosting this important workshop, and welcomed all foreign and local participants of the event. 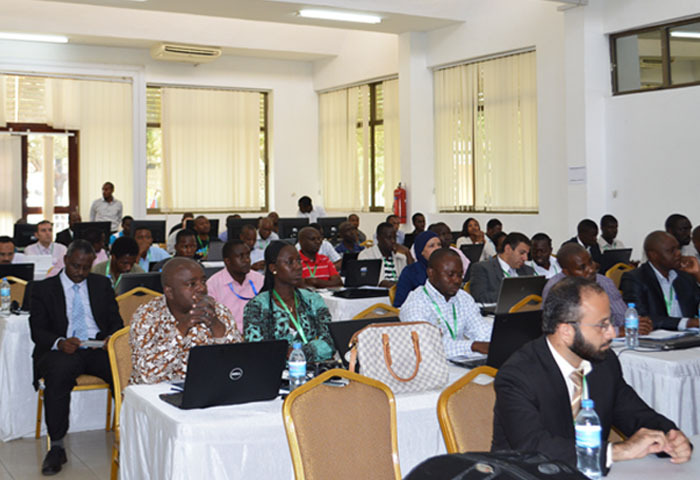 He informed that the current workshop is the first capacity-building event organized by COMSATS in Tanzania, and will serve as a platform to establish strong cooperative ties between S&T organizations of Tanzania and COMSATS. He hoped that the workshop will facilitate formation of a network of Internet security experts and professionals for the effective exchange of expertise, know-how and related technical facilities. Dr. S.M. Junaid Zaidi, Rector CIIT and President INIT, in his message, read out on the occasion by Mr. Muhammad Atiq-ur-Rehman, Senior Program Officer, INIT, stated that the use of computer networks has become a major element in governmental and business activities, and tampering with the same can lead to serious consequences for government bodies, business entities as well as individuals. He recalled that the past two decades have seen a number of legislations at national and international levels, as well as policy and organizational changes in the field of Information Technology. He stressed that the data and applications on computer networks must be optimally secured to counter the ever-changing and technically advancing sophistications in cyber-attacks. Dr. Zaidi stated that INIT is cognizant of the dire need to enable the scientific workforce of the Islamic countries to face the challenges related to protecting their information assets. He was convinced that the knowledge accorded during the workshop will facilitate the promotion and strengthening of initiatives related to Internet security and data protection. 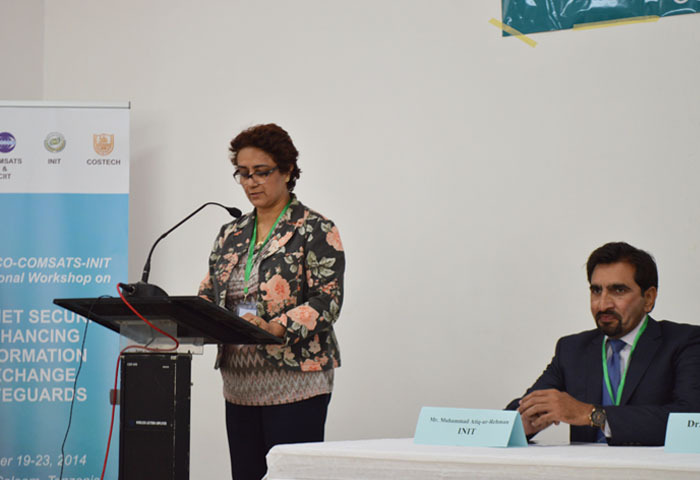 Dr. Aicha Bammoun, Science Directorate, ISESCO, conveyed the greeting s of the Director General ISESCO. She stated that the rapid growth and widespread use of electronic data-processing and business conducted through the Internet, along with numerous occurrences of international terrorism, have fueled the need for better techniques to protect computers and the information being stored, processed and transmitted. She expressed confidence that this event would facilitate in understanding the issues related to cyber crimes, and encourage the preparation and adoption of a harmonized framework of cyber security, as well as creation of a legal and regulatory environment for effective reinforcement to curb threats to cyber security. Dr. Bammoun stated that ISESCO’s collaboration with COMSATS for implementing technical programmes for the benefit of common Member States is one of the most fruitful ones. She also thanked INIT for its collaboration with ISESCO and COMSATS for conducting crucial activities in developing countries. 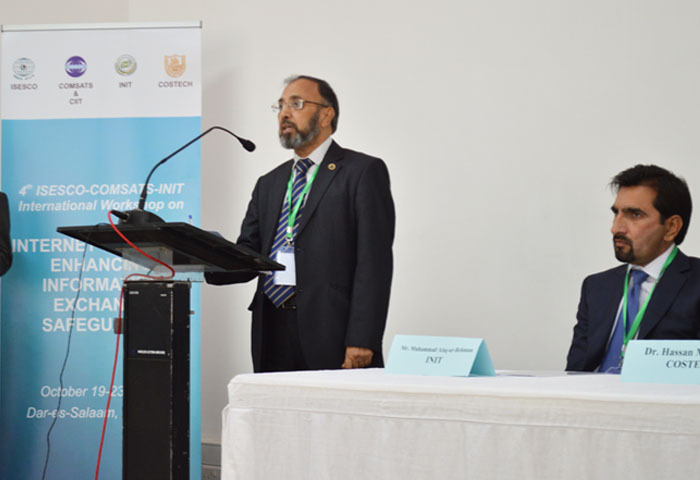 Dr. Imtinan Elahi Qureshi, Executive Director COMSATS, in his messageread out on the occasion by Mr. Tajammul Hussain, Advisor (Programmes) COMSATS, extended gratitude to ISESCO, INIT, CIIT, a nd COSTECH for joining hands with COMSATS in order to organize this important workshop. He informed that COMSATS is committedto developing and strengthening linkages among the countries of the South for exchange of resources, technology, and knowledge. Dr. Qureshi highlighted the efforts being made by COMSATS for capacity-building of S&T organizations in its Member States in areas most relevant to their scientific needs. He also acknowledged the consistent support of ISESCO and INIT towards COMSATS’ programmes and activities in the common Member States. 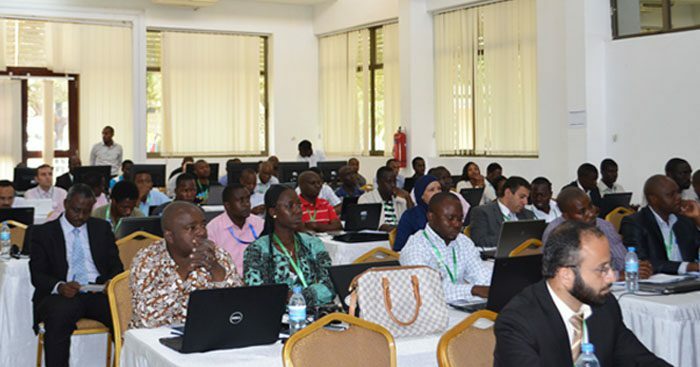 This five-day workshop is expected to benefit about 60 young researchers, practitioners, academicians, system administrators and programmers working in the field of Internet/information security and cryptography from 10 countries, mainly from Africa.